Amarinder Singh, a former chief minister of Punjab, Monday filed a complaint with the Election Commission seeking to include the cost of Jaitley's house in his election expenses. The complaint, filed through Amarinder's Singh's election agent Karanpal Singh Sekhon, said: "The said house has been purchased by Arun Jaitley as part of his election campaign, in what he perceives is a fulfilment of a promise made during his campaign speeches to the electorate of Amritsar." Under the guidelines, candidates for Lok Sabha elections can't spend beyond Rs. 70 lakh. "If Shri Arun Jaitley is admitting in public domain that he has purchased this house for Rs. 1 crore (the actual value may be higher) then he is, by admission already in breach of the section (Section 77(3) read with Rule 99 of the Conduct of Election Rules, 1961) consequences thereof must follow and no further campaign/election expenses can take place/be permitted," the complaint said. "The house should be included as an election expense since it is aimed at garnering support from the people as they have been considering him as an 'outsider'. The house has been purchased as an integral part of his campaign efforts and strategy," the complaint said, contending that Jaitley wanted to establish to the electorate of Amritsar that he is not an 'outsider'. Jaitley had admitted that he had purchased the 340-square-yard, five-bedroom house in Amritsar's upscale Green Avenue area, for Rs. 1 crore. The market value of the house is said to be much more. Referring to the EC rules, the complaint said: "The rules provide that the maximum election expenditure which can be expended by a candidate is Rs. 70,00,000/- and violation of this would amount to a corrupt practice under Section 123(6) of The Representation of the People Act, 1951." 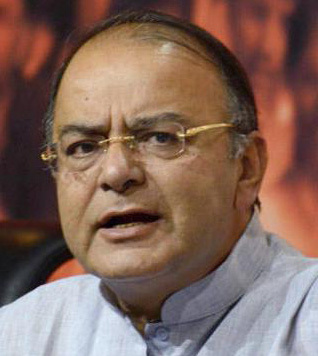 Reacting to the controversy over purchase of his house, Jaitley remained guarded. "The captain (Amarinder Singh) had called me an outsider. Unlike him, I have hundred percent Majha blood in my veins. I had promised that this being my ancestral town, I will have a residential base here. I have implemented that promise. What about Captain himself? Will the people of Amritsar have to wait for days altogether outside his Patiala palace in order to meet him?" Jaitley said in his blog Monday.